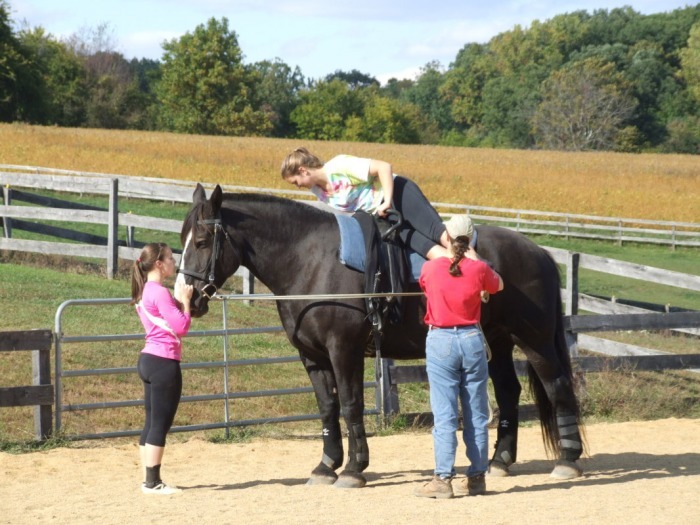 Great Falls Vaulters practice at Rickman Farm, home of Great and Small, a therapeutic riding program in Boyds, Maryland. 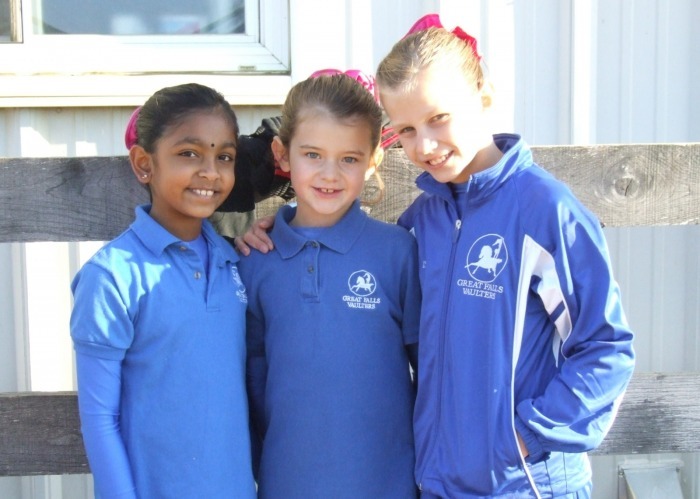 We are fortunate to have the use of both an indoor and an outdoor arena so we are able to practice year-round, regardless of the weather. 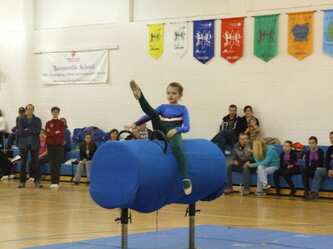 Our novice lessons are designed to introduce newer vaulters to the sport of vaulting. 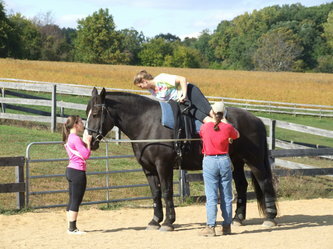 The lessons include instruction in horsemanship, safety, warm-up, and vaulting on the barrel and horse. 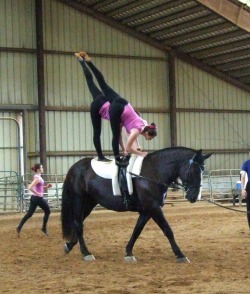 Lessons are taught by experienced coaches and advanced vaulting team members, with an emphasis on fun and safety. First-time vaulters are offered a free introductory trial lesson, after which time lessons may be purchased in packages of 4 (lessons may be used on any Sunday during the scheduled novice lesson time) or vaulters may choose to pay monthly team dues.